The perfect cleansing solution that will leave your beard dirt-free while hydrating to help retain essential moisture. 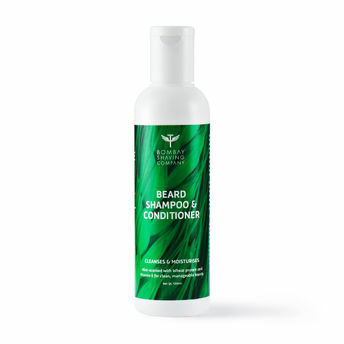 Bombay Shaving Company Beard Shampoo & Conditioner is SLS & Paraben free and promise a deep cleanse without leaving your hair dry and brittle. Key Ingredients: Coconut oil, Aloe Vera, Glycerine, Wheat protein & Vitamin E.